â€œThe girls?â€ Lisa questioned. â€œMom, you’re the youngest one. Hell, Millie Hendricks was probably a founding member.â€ Every memory she had of Mrs. Hendricks was of her brandishing her cane as a weapon accompanied by a threat. Even from her earliest childhood memories, Mrs. Hendricks had been the belligerent old lady all the kids loved to goad. Her mother stopped the car at the light and chuckled. â€œNo, but her mother was. And you’ll be the first girl of your generation to join.â€ She sounded so proud. â€œDon’t get your hopes up.â€ She knew she wasn’t going to like it, but she didn’t know how to say no to her mother when it would make her so happy. It will only last a few hours and then after tonight she could say that she had given it her best, but just didn’t enjoy it and get on with her life. â€œThat was different then, mom. Modern women don’t quilt.â€ Lisa thought of her mother coming home from these meetings when Lisa was young. She would be happy and refreshed and sometimes she’d even sing and twirl Lisa or her older sister Jenny around the room dancing and giggling. Lisa had a hard time picturing her mom as a feminist, not that her mom was submissive, but something didn’t seem right about her mom being so independent. â€œQuilting’s that fun, is it?â€ Lisa asked dispassionately. â€œSo why didn’t you bring Jenny instead of me? She’s older.â€ Jenny had called her earlier that day to tease her about getting conned into a night of doing â€œgranny workâ€ and hearing old ladies complain about their arthritis and bowel movements. She had asked Jenny how she had gotten out of going all these years and was surprised to hear that she had never been asked. Jenny had sounded a bit bitter after that. â€œNeither is Marge Hinkelman.â€ Lisa thought of the thrice divorced Marge and wondered what secrets she had learned from her marriages that a single woman wouldn’t know. â€œMom, really, that’s all you’ve got?â€ Lisa replied. They got out of the car and Lisa grabbed her mom’s quilting bag as her mom grabbedÂ the pan of her famous mini-quiche. â€œThis is a little heavier than I thought quilting supplies would be,â€ Lisa commented. They walked up to the door and Lisa freed a hand to knock. â€œThanks Mrs. Landon,â€ Lisa said politely as she followed her mother into the house. Betty led the way into the kitchen and set the pan down next to a mixing bowl full to the brim with butter mints. â€œYou guys meet here every week?â€ Lisa asked. â€œEver since Joe went to college,â€ Cindy told her. â€œHarold let me convert his room into a sewing room. I don’t think Harold’s been in since I renovated. Anyways, Harold goes bowling every Wednesday, so us girls can be as noisy as we want.â€ She winked conspiratorially, but Lisa didn’t quite follow. â€œYou quilters must be a rowdy bunch,â€ she commented as she watched her mother take the lid off of the mini-quiche and then carefully remove the top layer complete with it’s waxed paper base and throw it directly into the garbage can. Cindy opened the door and let them in. â€œHere. Here,â€ Connie Preston chimed in, her glass of brandy raised. Lisa remembered Sue Preston getting grounded for a month their sophomore year of high school after her mother, Connie, found a joint in her room. â€œMakes you forget all about it, at least,â€ Lucy Mancini, the second oldest member, piped in. â€œThey keep me regular,â€ Ida Lewis added. â€œSpecial brownies?â€ Lisa whispered as she took everything in. A small group of women, many of which had grandchildren Lisa used to babysit, sat around a poker table, some held cigars and Millie held a suspicious hand rolled cigarette. She watched Mrs. French take a long drag from her cigar and remembered when the older woman had refused to speak to her twenty-year-old granddaughter once she had found out the girl smoked and kept to it for over a year until the guilt made Claudia quit. â€œGet it and put that thing away. We’ve important business to attend to,â€ Millie told her. 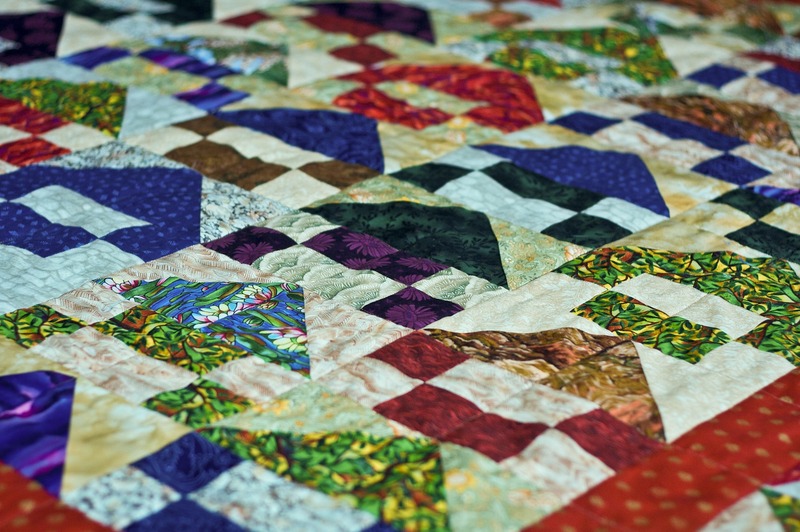 She put her brownies on the sewing table that was along one wallâ€”the sewing machine still coveredâ€”and then took her quilting bag from Cindy. She pulled out a couple bottles of scotch and knelt down next to the table. She opened a supply cupboard, pulled out the skeins of yarn and took out a nearly empty bottle and replaced it with one of the two full bottles and then put the yarn back.